As the largest commercial travel hub on Colorado’s Western Slope, Grand Junction Regional Airport has been growing steadily with several capital improvement projects. 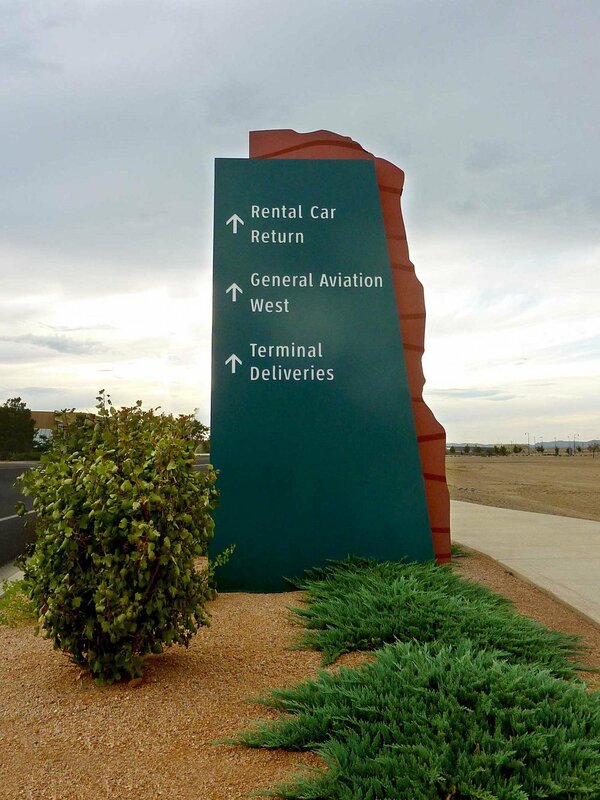 Working with Jacobs Engineering, our team members created a new roadway sign family that gave the airport and the City of Grand Junction a sense of identity and place while improving the visitor experience for airport patrons. 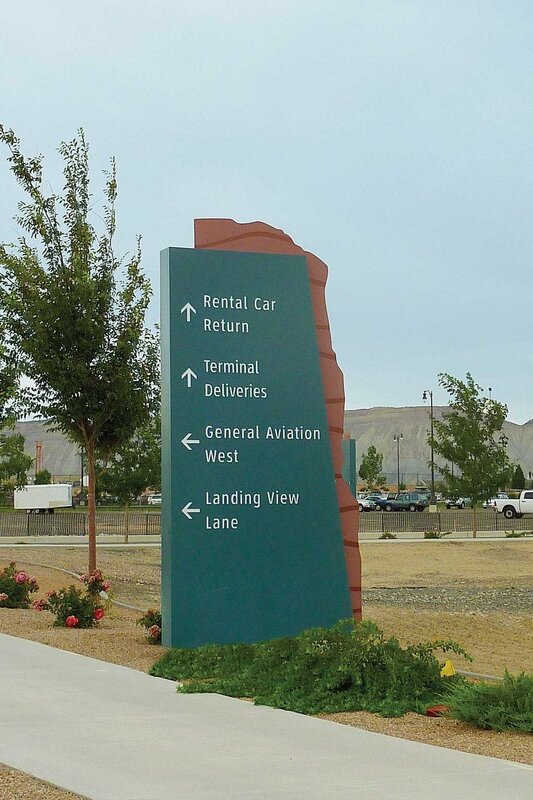 Honing in on the features of the natural landscape of Grand Junction, the wayfinding signage uses abstracted, sophisticated and artistic treatments of the surrounding geography within the design of the signage. These branded elements create a sense of identity and place for the airport and celebrates the natural rustic beauty that surrounds the City of Grand Junction.